Too often, we equate "abundance" with "wealth", and that to be abundant means you have wealth or money. However, abundance implies a spiritual concept of being fulfilled in life, versus wealth that is having great sums of financial resources. Abundance does not necessarily imply that you are wealthy, but all too often these days, it is twi sted into that definition. One of the things that I loved from the movie, "I Am", is their explanation of money, and if you apply this to abundance, wealth or happiness, it really speaks volumes. To have twice as much money as you do at this moment, would you be twice as happy? That is essentially the question they were asking in one part of the movie. After all, if money is happiness, abundance or peacefulness as many suggest, then to have twice as much money would mean you have twice as much happiness, abundance, or peacefulness. I'm sure that most would probably roll their eyes at this and say, "well if I had $20 in my pocket before and now I have $40, I would not necessarily feel twice as happy." You might feel a little more bounce in your step but not twice as much. If you had not worked in a year and $40 meant a great deal to you, then you might be extremely happy. Consider this example to illustrate my point. What if some person was living out in the woods and had built a home from the trees, fished in the nearby lake for their dinner, and lived off the land? To this person, they had everything that they needed. Now, someone comes along to explain spiritual concepts of abundance to them and says that they need to do these things to feel abundant and to expect "money" or "wealth" to come their way if they do. Do you think that person would say, why of course I do? After all, they live off the land which gives them everything they need, and they feel fully fulfilled. They have no desire for anything because everything is already provided by the land. Yet, to many in the abundance movement, this person would be lacking "money" and they most likely would say, "well with money you could do more in life." Again, the person living off the land feels fulfilled. You see, I think we mix up the terms abundance and wealth. They are two different concepts. We have people come along that offer courses for $999 or $97 or other amounts and we jump at it because they are an expert, and so they have to have the answers. Yet, we fail to see that we are after "wealth" and not necessarily abundance. We feel that if we have more "money" that we'll be much more happy. There are many people that have much wealth and many of them will say that they don't feel wealthy. There are many people who have won the lottery and thought it would solve their problems, only to find themselves penniless and near homeless a few years later, with no friends. Money does not buy happiness. It, however, can bring us things to enjoy, but if all those things were gone tomorrow, what would life be to you? If you have not lost everything in life, that is a question which is hard to answer. If you want happiness, go within yourself and work on healing the parts of your body and mind that are disconnected and unaware. Look within to find happiness and if you do not like what you see, then work to change it. If you keep looking externally for wealth and abundance, you will never find it! It will always elude you and escape from your grasp. Happiness is what you glean from your experiences in life as you fulfill your life's purpose on this planet. Abundance is a result of that, and wealth is something you pick up along the way! Sometimes, there are times in life that I feel I'm soaring through the sky in beauty, awe and above every problem the world has presented. There are times in life that I feel like I'm trudging through the mud holes of a swamp, embroiled in quicksand as I attempt to pick my foot up and place it in front of me. Of course, there are also times in life where I feel like a ping pong ball bouncing from the great times to the not so great times. It is easy in life to question what our moment is all about when we are facing the more difficult times and sometimes just as easy to forget this when we are soaring through the sky. Yet, life is a mixture of these parts. Life is about soaring and trudging because together we are able to grow and rest. We rest so that we can grow and we grow so that we see the difference in our life. Too often, we think of the tough times as being something awful, but the funny thing is that when we go through those times in life, we emerge a different person on the other side. We all of the sudden have those ah ha moments where we see things differently. Once we see things differently, than we realize that there is much more to our life and our path. We understand more clearly that life is a combination of all things, not a sentence of difficulties. When we embrace that which we struggle with, it is then that we have become aware of that which we know deep inside of our mind, body and soul. I had the opportunity to see the documentary film created by Tom Shadyac. While you may not know his name, you most likely have seen or heard about some of the movies he has produced. These movies include Bruce Almighty, The Nutty Professor, and Ace Ve ntura. Tom's life was going great with successful movies, beautiful homes and a life most would be envious. After a serious bicycle accident, Tom woke up to the feeling that life was so much more. In fact, he felt he was more of the problem than the solution. Tom and a small crew set out on a quest to answer "what's wrong with this world?" and "what can we do about it?" In the process, Tom learned so much about his life and what is actually right with this world. There were so many good parts to this movie and it really does challenge you as a human being. Example after example was used that demonstrated in a clear way, just what our life and our world is all about. It isn't just a bunch of new age mumbo jumbo but concepts that stretch us outside of our normal thought limits. The point that I really liked the most (and that I can remember as I'm writing this), is that life isn't so much about us changing others in the world, as it changing our self which in turn will change the world. It is more about what we do to help enlighten our mind, our body and our path, which in turn will have dramatic effects on the rest of the world. However, don't just take my word for this! Check out the website and the movie to see how this film impacts your own life. We are much more than we currently are or we currently understand. Just an additional note that I'll share with you. I was so intrigued by the work of the Heart Math Institute, the effect of world events on the random number generators and the example of how we can impact something as simplistic as yogurt! What if we met the person where they were instead of where we thought they needed to be. Yes, i know many give lip service to this being at the forefront of their interactions. Yet, if we were truly honest with ourselves, we would see that more often than not, this is not the cas e.
Often through our words, actions and projections on to others, we tell people what we think they should hear! We project our feelings, emotions, fears and body language on to them as if it were their greatest moment in life. Often, our fears which we may or may not realize that we hold within our bodies get in the way of how we interact with people. These fears impact others in profound ways. 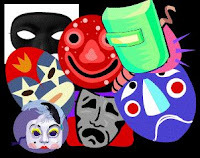 We tend to put on the cloak of being knowledgeable or the face of acting like we are so happy and nothing is bothering us. Sometimes we are loud and forceful in our views either online or face to face. Stop for a moment and think about this. If you are sharing yourself in an open way or struggling through a moment in life, do you want people coming down hard on you and making you feel as if you have no clue in life? More likely than not, you don't! I'm not talking about sharing something with someone that maybe needs to be said. Heavy handed interactions should occur with a lot less frequency than they do in life. Contrast the heavy handed interaction with an ear that listens, a heart that accepts and eyes that see the best in the people around you. How would that make you feel if you received this versus the heavy handed interaction? It has been stated that listening is critical to how good a therapist can be in counseling. Many people just want to be heard and in our busy and hectic world of noise, no one is there to listen. May we rise above ourselves and meet people where they are at, not where we think they should be. May we learn to listen more and talk less. May we truly appreciate and respect others as we learn to appreciate, love and respect ourselves while owning up to the fears present in our life. Once we understand this, than we will become more human than we have ever been. I'm always amazed at our cats for they seem to know what we are going through when sometimes, we don't even fully understand it. Our two cats are very perceptive and I am sure many could say the same thing about their cats. These cats just seem to feel, sense and know what we know but without all the distractions of life. The other day, I was struggling and not able to focus. 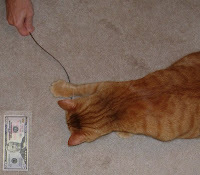 Our orange cat, Corey, knew this and was by my side to offer his assistance. His assistance though in amongst the purrs and sharing his love with me was the desire to play. Even though I didn't really want to be bothered at that moment, I tried to oblige him by playing for a few moments and then letting him be on his own. That was not good enough for Corey and so he would find ways to get my attention and bring me back to a place where we could play. He did this repeatedly until I gave in to his play time. Yet, I learned that the playtime wasn't really for him. It was his way of helping me get my mind off of some things and just stop for the moment. Corey knew deep down that if I did this, he would help me immensely. Of course, Corey loves to play and he loves to look after his humans but this particular day, he was there to help me out. Cats are so amazing and I would really be lost without them. I've had a cat most of my life. They are just there when you need them most and it is wonderful to come home and see them meet you at the door or to just have something loving to greet you when you take a break. We often say that they are "OUR" two cats but I think if you asked our cats about this, they would say, we are their humans that they watch out for and love! The body doesn’t lie. If a muscle is tight it’s tight. An underlying premise of Compassionate Touch is that we can work with the physical truth of the body to resolve any related emotional truths, regardless of the source or nature of those emotional truths. Simply stated, when working through the body we do not really need to know the source of trauma in order to help the client heal. (Compassionate Touch by Dr. Clyde W. Ford, Page 9). Sometimes when bodywork and healing is done, there is far too much emphasis on the story of the trauma or issue. We try to uncover facts and details and many try to provide these information points as crucial moments in the healing. While there is benefit to knowing the parts of trauma that is connecting in the moment, the current manifestations are far more important than the story. Using the story or the piece of trauma information to help push through the fears into healing will unlock the stored energy of that traumatic moment. It will give greater clarity to what is currently taking place as well as provide a foundation for further healing. The body knows what it needs to do. This is the physical truth of the body. When we work with it, we can overcome so much. We can resolve the emotional trauma a body has experienced. Check out Compassionate Touch on Amazon! Normally I don't quote the Bible in this blog, but I think the following from Ecclesiastes Chapter 3 is appropriate based upon the post from yesterday. Sometimes, there are parts from the Bible that just speak so eloquently of what is on my mind. Most likely we have all heard this in some form or another but I thought it was a good time to just state the obvious. So many times, I see people trying to play the field of one side or the other in life. Many feel that you have to be happy, abundant and worry free to really have life under control. In many circles, there is an exp ectation that if you are spiritual, than you really need to be worry free and wealthy. If everyone tomorrow had a million dollars, it could be easy to assume we are all wealthy. After all, a million dollars is a lot of money to most people. However, if everyone had a million dollars, no one would feel wealthy because it would change the economic structure of our world in a drastic way. In the case of happiness, if everyone had absolutely no worries and were completely happy, how would we know it? If we did not know what it was to be "sad" , how would we see the difference and know that we were happy? Much goes for grief and death versus birth and life. It is hard to have one without the other. There is a time of creation and a time of destruction. There is a time of busyness and a time of rest. However, if you have one without the other, we would not be able to tell the difference. I hate the thought that anyone should have to suffer, be poor or go through the heartaches and horrible moments that we do. I've been through plenty in my life and at one time, I lost everything that was anything in my life. However, without going through those times, I would not be where I am today or experiencing the things that I am. In many ways, abundance and happiness are about embracing poverty and sadness. It is about acceptance in that to have one, there must be some experience of the other side. While we want to think happy thoughts and proclaim that abundance is what you should seek, I think we are missing out on some of the greatest moments of life. The greatest moments do not come in where we are currently at in our life. Our greatest moments come from how we have endured and what we have learned on our journey. What we have gleaned from life is our abundance and the moments of enjoyment in life, is our happiness. I read a quote from "The Universe" today and it was rather timely and well stated. Here is the part that I especially liked. "Once you know what you want, then do something about it every day". Too often, it is easy to sit there and say, we don't know which way to turn or what to do in life? We look to others to help us answer the questions of significance in life, when in all reality, what we need to do, is just do something every day. I believe most of us know what it is that we need to do in life and where we are going. Yes, I do agree that we go through times of confusion and despair, but deep down within us is that spark of purpose for our life. It is the reason we exist and were born into this world. Too often in our life, we succumb to fear and then instead of us moving forward, we are stopped dead in our tracks. The way to begin working towards what you want to do (i.e. your purpose) is by doing something about it every day! If you focus on it and take steps toward it, you will make progress. For those that know me, family is a very difficult subject for me in my life. Some days I have wondered how I was born into the family I was. For a long time, I really wondered if somehow I was switched at birth. E xcept for my mom, I have very little in common with my family. Yes, we do share some of the biological and upbringing traits but outside of that, my concept of what life is all about seems to be miles apart from those in my family. I was the middle of three boys born into a family of turmoil and abuse at the hands of my father and continued with my older brother among other various participants in life. Boundaries were nonexistent, lives were controlled and manipulated at home and church, while fear and torment were our closest allies. When my father wasn't screaming at us, my two brothers were going at each other's throats. While I do remember more than sometimes I really want to remember, much of my past I have blocked out. In 2002, my mom was killed in a car accident and since that time, I really do feel as if I am on my own, separated in life. Because of what my older brother and father did to not only me but to my younger brother, the family bonds are non existent. Before my Mom died, I had not been able to speak with her for 10 years. My younger brother and I give the appearance that we've been able to talk but we both know that it is nothing more than damaged threads of communication. There are the relatives that do say hi from time to time and are friendly but of course, they seem like mere strangers that I have faintly become acquainted with. One cousin seems to ignore me for the most part which I am sure is in part due to her religious practices. Other cousins on both sides of the family are ones that I know very little about and if I walked by them tomorrow, I would not even know it. I know I'm not alone out there as many people have suffered through some horrible family moments in their own lives. Some days it does hurt as I'm sure others will attest to. There seems to be no way to ever replace the biological ties of the family you were born in to when you entered this world. You can do many things to help make up for the losses but that biological family connection is one that cannot be replaced. Some days, it feels pretty lonely in life and because of some of what I've been through, I fear that others in my life will disappear or leave me or tell me they no longer want anything to do with me. I find it difficult at times in life to wonder if people that I trust really mean well or are they just using me, as it once again reminds me of days gone by where you could trust no one. By trusting no one, I refer to my parents, the baby sitter, the creepy guy in church, my teachers and my family. I know I have come so many miles in this journey but there are days when it is difficult beyond comprehension. There are days that I question everything and head for my bunker in the ground. I so badly wish that I could sever the biological connections as if they had never been there in the first place. Yet, I know that to do this, I would be claiming the impossible. Life will continue to go on no matter how difficult my moments get. I seem to have a never ending supply of courage and determination. If only my energy and resolve and confidence could keep up, I would greatly be propelled along in life. In many ways, I don't fully understand all that my journey has for me to walk through but I know or at least I hope I will know that one day as I look back, this will all make sense to me! To all the great, loving and wonderful fathers out there, I admire and am warmed by your presence in this world. There, I said that. I actually got that sentence out! It's a first in a very long time that I could write or say these words! Most of the time, what I would say on Father's Day, you really don't want to know! It wouldn't be appropriate for all ages. For me, Father's Day is anything but wonderful. 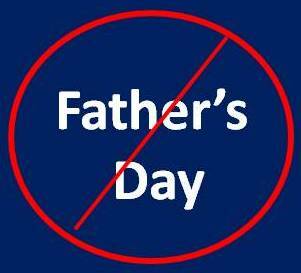 Except for my two cats, I'm not a father and I don't ever plan on being one. I really don't consider my cats my children anyway as I see them as equals, not subordinates. For those that have read my book, "Hope And Possibility Through Trauma", you will already know that my father was more of a sperm donor than a father. He of course would differ with that opinion and feels he did nothing to harm me. I, on the other hand know the truth. It is a difficult day for me and I know it is a difficult day for many others. I wish I could say differently but I can't if I am honest with myself and with life. I wish I could say that I still talked to my father and that we had a good relationship but the last time I spoke with him was around 1998. He's too toxic for me and there is no good purpose served for me to attempt to contact him. He made his own bed (no pun intended) and I have had to move on with my life. While it is difficult for me to survive Father's Day, I am trying to be supportive and positive to those that have a father they love or miss or that may be a father to some wonderful children. If you fall into these categories, let me know that you are out there. You might help change my perception of what a father is, because in my case, the only one I knew, fell short. Last week, I saw some comments come through to the blog. Most of the time, the comments are full of integrity, character and add value. Occasionally, there are some that just make you scratch your head and wonder about the person writing the comment. While not everyone has to agree with me on every thing that I write, I do enjoy hearing how my blog posts touch other people. Like many that do comment, I appreciate the respectfulness of people when they are sharing their views and opinions. Often I am warmed by the words they share and what is shared becomes very special to me. Last week, there was someone that read one of my blog posts and either it triggered something deep within them or they were just having a bad day. They made sure they stated to me that this was a pity blog. Of course, it was quite clear that the individual did not fully read the blog post or really check out the rest of the blog. I try to write from my experiences and share what I have learned. Much of my subject matter comes from my own struggles through life as I try to open myself up to the world in hopes that someone else will find it helpful or challenge their own views. Often times by me writing what I do on this blog, I learn so much about myself and through what others share with me, that learning is compounded many times over. The last thing I want this blog to be is a pity blog and hopefully it is not that! Yes, sharing the deep stories about my own journey could likely be seen that way, but only if the rest of the blog post is not read where the learning can be gleaned from the words. I do realize that no matter how much we write or the way in which we write things, not everyone is going to accept what is said. There are times that I approach subjects on here that are volatile but my hope is that it will help bring about a positive direction in how all of us look at things. I think we can all learn so much from each other if we allow ourselves the opportunity. 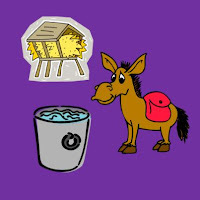 Imagine a donkey standing between a pile of hay and a bucket of w ater. The donkey continues to look to the hay and then to the water. However, the donkey is unable to decide which to consume first. Eventually the donkey falls over and dies of hunger and thirst. While there are many ways this could be interpreted, it is easy to see that if we get so locked up in the fear of the decision, we fail to make a choice. When we fail to make a choice, our life is at a standstill. Sometimes decisions and choices aren't always easy and sometimes we treat them as a matter of life and death. However, regardless of the choices we make today, we can always make a different choice tomorrow. While it is true that the choices we make today do impact those of tomorrow, with each new day, we are still able to make choices with our life even in the roughest of circumstances. Today, I received a phone call from a place I do business with and the person on the other end felt it necessary to talk nonstop. Of course, every time I would try and say something, they would start in a mile a minute never once listening to a thing I said. In this case, it had to do with billing and I was trying to make sure they did no t get double billed. This isn't the first time I've run into this nor the first person that ever has done this. It seems to be an ongoing thread in our society. We don't listen to the other person, we just talk and talk and tell them everything that we feel they need to hear, rather than listening to them. No matter what you do or how much you try to talk, these people just don't listen! They keep going on and on and getting louder and louder until they have drowned you out. What you have to say may be very vital to the conversation but unless you want to get in a shouting match, it doesn't matter. They are not going to hear you. Growing up, my father and a brother was this way. They still are this way because they think they have to be the one yapping their gums louder than anyone else, or life doesn't go on! Neither of them would listen while I was growing up and they still don't! You could have told them the house was on fire, and I doubt they would have heard you. It all boils down to how much more importantly we see ourselves than everyone else. If you're talking nonstop and louder than you need to, than you're not listening. If you're not listening, you're not valuing the other person much at all. You are treating them as if what they have to say or what concerns them does not matter. A human body has two ears and one mouth. It would stand to reason that we use the ears twice as much as the mouth. Many humans do this but there are far too many that don't. If you don't believe me, just spend 15 minutes observing people around you or on the news. It will be quite obvious. We can offer so much to so many by listening or at least finding a balance in a conversation. By closing our mouth and opening our ears, we lift the other person up and show them they are important to us. 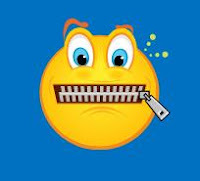 Let us try to use our ears and our mouth appropriately instead of using one more than the other! I'll bet if we all did that, our world would be a different place! Previously, I have written about Fish Oils and how the toxins in them are of significant concern. 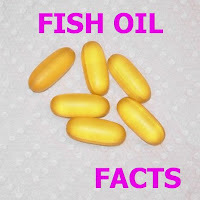 (See the blog post Omega 3 Fish Oil Facts posted on 06/14/11). The specific toxins are Mercury, PCB's and Dixon. Most likely if you are like I am, you may or may not completely understand the role of these toxins on the b ody and why they are so critical. Here are a few facts about these toxins and the role they play in the body. Sources are cited so that you can read the full story. Of course like anything else that you read, please do your own research and draw your own conclusions. This is not meant as medical advice but is stated here for informational purposes. Since I am not a scientist, I can only share what I have read and have no way to confirm if the following is 100% accurate. Mercury is associated with 258 different symptoms. The severe toxicity of methylmercury is attributed to its ability to pierce any cell membrane in the body and cross all barriers, even the placental and blood-brain barriers. After crossing these barriers, methylmercury is converted back into the highly destructive ionic form and destroys all cell components in its path. Methylmercury is credited with initiating degeneration and atrophy of the sensory cerebral cortex, paresthesia, (numbness and tingling), autism, behavioral and emotional aberations, as well as hearing and visual impairment. In crossing the placenta, it can inhibit fetal brain development and bring on cerebral palsy or psychomotor retardation in the latter stages of development. Other symptoms of mercury toxicity include: anorexia, depression, fatigue, insomnia, arthritis, multiple sclerosis, moodiness, irritability, memory loss, nausea, diarrhea, gum disease, swollen glands, headaches, and many others. Mercury amalgams have set us up for most of the health problems we see today. Toxic metals interfere with the normal energy patterns in acupuncture channels, setting up interference patterns in the meridians. The body, in trying to protect itself against mercury, creates a problem of yeast infection. For more than 50 years, PCBs were used for manufacturing. This is because PCBs are chemically stable, have a high boiling point, are non-flammable and are useful in electrical insulation. They were used to manufacture transformers, oil-based paint, caulking, plastics and floor finishes. The United States Environmental Protection Agency banned PCBs from manufacturing use in 1979. However, PCB-containing product remain in landfills. The chemicals can seep into the ground and into the algae fish eat. This can contribute to PCB levels in fish. They are considered to be especially dangerous because PCBs can cause cancer and adversely affect several systems in the body. For more information, check out the EPA.gov website on PCB. Dioxin exposure has been linked to birth defects, inability to maintain pregnancy, decreased fertility, reduced sperm counts, endometriosis, diabetes, learning disabilities, immune system suppression, lung problems, skin disorders, lowered testosterone levels and much more. Legal Disclaimer: Always consult appropriate medical practitioners and be informed before taking any supplements. Fish Oils according to the Mayo Clinic website from multiple studies, there is evidence the recommended amounts of DHA and EPA in the form of fish oil supplements lowers triglycerides, reduces the risk of death, heart attack, dangerous abnormal heart rhythms, and strok es in people with known cardiovascular disease, slows the buildup of athersclerotic plaques and lowers blood pressure slightly. Some interesting information that I found from Total Health Nutrition Center was appropriate to share as it has helped me understand what to look for when it comes to buying Fish Oils and what the right dose is for me to take. I take Arctic Oils (OmegaPure 600 Enteric Coated). The best fish oils are derived from small fish that are toxin free of Mercury, PCB's & Dioxins such as anchovies and sardines. Some of the cheaper fish oil in discount stores doesn't specify the source. A few years ago a major manufacturer said their oils were obtained from Tuna, Swordfish or Shark which are big fish loaded with toxins. They stated that they followed government standards for cleaning fish oils of toxins but this government standard does not require the fish oils to be 100% toxin free. Most of all the high quality fish oil in health food stores and the physician only market is toxin free. They are cleaned with molecular distillation. 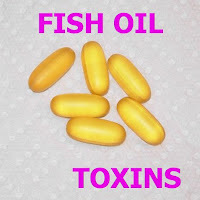 Do not be fooled by the fish oils that say there are low levels of detectable toxins or wording similar to that effect. The right dose is referred to as 2,000 mg a day. So if you had 600 mg of EPA plus DHA in one pill, you would need almost 4 a day to be effective. Some of the products sold out there are 1000 or 1200 mg per gel. Enteric coated gels (not soft gels) are rated to equal 3 gels of regular fish oils. This means you could take a 700 mg enteric coated pill and get the benefit of 2000 mg regular gels. This is due to the fact that the fish oils are delivered directly into the intestines for optimum digestion. Are There Side Effects Or Interactions? You may want to do a search on the internet or check out WebMD.com at the following webpage on Fish Oils.  Although the person that appears to have written this website does endorse one particular product, they do have some very good information on this page. I have no way to evaluate whether what this person is saying is true or not compared to all the other experts out there. I am just providing it for your reference and to present as many facts as I can on this subject. The webpage is omega3brief.com. Whatever, you do, make sure you are taking the highest quality fish oils you can take. Trying to take the cheap discount pills may not be doing anything good for you. You need to research the product you are taking and make sure you are convinced it is the best thing for you. Anything less than that and you're wasting your time and money! Legal Disclaimer: Sources are cited so that you can read the full story. Of course like anything else that you read, please do your own research and draw your own conclusions. This is not meant as medical advice but is stated here for informational purposes. Since I am not a scientist, I can only share what I have read and have no way to confirm if the following is 100% accurate. Always consult appropriate medical practitioners and be informed before taking any supplements. Months after starting this painting and then letting it sit before I got back to it, I finally finished it on June 7, 2011. For some reason, this date seems significant but I could not tell you why I feel that way. While I love this painting, especially the colors, there were some bittersweet moments in the completing this painting. Those moments wi ll remain hidden within me. Yellow is one of my favorite colors and against the blue, it really just brings this entire image alive to me, not from what I see, but from what I feel. It is simple but yet provocative. It is profound but yet it is simple. If I added anything else to it, the painting would cease to be an image. Instead, it would be a cluttering of colors. A yellow butterfly is synonymous with angels to me. When I see a yellow butterfly, I always think of angels. Actually when I think of angels, it is more often than not that I see a yellow butterfly. I consider the yellow butterfly something that is of a spiritual nature to me and takes me from my current moment into what is beyond my realm of awareness and hopefulness. In this particular painting, I tried to give it texture to make it appear active rather than just an image. The lines that aren't perfect, the texture of the brush strokes, the layering of the palm branch over the butterfly plus much more add to the mysterious texture woven into the painting. I won't give it all away because I want someone to look at the painting and see much more than is on the surface. When I hit times in life where things are difficult or unknown, this painting just gives me a moment of pause and connection. It helps me to know that things are okay and one can always take off from the ground (or the current awareness) into all that the sky offers. Of course, the sky never ends and neither does our awareness or hopefulness. What we see today is not what we will know tomorrow. Our life is much more than that. Anderson Cooper has done a story about Kirk Murphy. When Kirk Murphy was only 5 years old, his parents took him to this "new therapy" that was being advertised to help eliminate the "sissy" out of boys. As his mom was quoted in the AC360 story, she wanted him to grow up normal or what she ref ers to as normal. Of course, the therapy involved neglect, withholding of love and affection, abuse, beatings and the common decency any child should receive. Keep in mind that this was all because little Kirk played with toys and things that his parents decided were not normal for a boy to play with. They, like many others in our society feels that it is their authority which gives them the right to say what the child should do and decide what they should not do. They feel it is justified in their mind at least without any concern to actually respecting the child. Of course, as the story unfolds, George Reeker that did all of this research and founded his anti gay establishment on this research which was limited and one sided, could not help but use a gay guy to carry his luggage on a trip. Carrying his luggage was of course the "official response" of what he did when he hired someone from a place called rent boy.com. I'm not suggesting you go to that site but looking at that website, it is easy to see what it is about. You cannot convince me that George Reeker did not know what was going on and that nothing went on between him and this person he supposedly hired to carry his luggage. I'm sorry, but try as hard as you want, you can't convince me! Back to the story though as I feel so sad for Kirk and his brother and sister. The mom - well that's a different story. If she was so unintelligent that subjecting her little boy to this abuse because they were the experts, than she should not have been a mother. I heard her act as if it was George Reeker that murdered her son and I'm like, excuse me but you are the one responsible here. You enabled George Reeker to do this. How can you sit there and act as if you are innocent! The lengths we as humans go to in order to excuse our actions! What is even more sad is that this research that George Reeker did where he claims to have changed Kirk from being gay to normal has now been used against so many others. This therapy that tries to change gays to straight is about as absurd as it gets! God made us all in his image and there is no need to change ourselves because some narrow minded bigot thinks that gays should not exist. These are real people with real lives and breathing hearts! Normally, I try not to get this controversial on this blog but I'm just astounded to the lengths that some people will go to in this world to hate others through their own misguided life. You can call it what you want but gay people are normal people and the sooner we learn that in this country and the world, the sooner we can advance ourselves as a human population. We all have something to bring to the table and if we learn to focus on what we share, rather than the differences between us, we might just take a big step toward becoming human. Kirk, may you rest in peace and I'm so sorry that you chose this way out. I hope your life will shine the light of truth on these people that try to change gays into something they are not. I hope your life will help others to wake up and that you will not have died in vain. Fortunately, we've come a long way since the day you were a little boy but we've still got a long ways to go! For background information, you may want to read the following blog posts before reading this one. 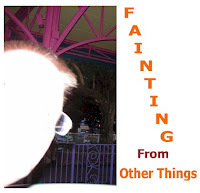 The blog posts are "Fainting At The Sight Of Needles" and "Fainting From More Than Needles". If you are like me, don’t feel alone! There are many of us out there. In my case, I know I’m a highly sensitive person (see blog post 01/20/11) and this adds to the situation. Here are some tips that may help you in dealing with this situation but most of all, don’t beat yourself up for it! Keep looking for ways that will help you overcome and deal with this situation. If you have helpful tips to share, please feel free to leave them in a comment so you can help others. 1. Let the person or office know where the medical procedure is being done that you easily faint. Many times this will help you feel a little more comfortable and safe plus it helps alert them to be a little more gentle and careful with you. 2. Try not to think about or look away from what is being done to you. Think about a song or something you want to do. Talk to someone that you trust about anything other than what is going on. Do anything you can do to get your mind off of what is going on. 3. Close your eyes so you can’t see any of the needles or medical instruments. 4. If you have a close and trusted friend that can go with you, sometimes that is a big comfort to you as long as they are able to function in that situation. 5. Insist that you lie down when things are being done. There have been many times that medical staff feels this is a waste of time and I usually just let them know that either they can let me lie down or they can pick me up off the floor. Most of the time, that conversation is enough to convince them. 6. Trying to focus on your breathing can be very helpful but even I know that when I get in this situation, that is like trying to drain the ocean with a single gulp. It does help but for me, the fear and anxiety often take over before I can get myself focusing on breathing. 7. Doing intense healing work on yourself is helpful but not always easy. Going into the pain head on can be liberating in the end but often we shy away from this because we are too afraid to do it. 8. Try to limit yourself in eating a lot of sugar or caffeine or other stimulants before having any of these medical procedures done. It just adds fuel to the fire. The more you can relax before something is done, the better the chance of you making it through without fainting. For background information, you may want to read the previous blog post, "Fainting At The Sight Of Needles posted on June 9, 2011. For me, it is more than just needles that makes me faint and pass out. Often, it is perceived pain long before any pain or procedure might take place. Just writing this is enough that I can feel my anxiety level is very high. It does not even have to be something I experience but someone close to me that is going to experience a procedure. I remember my father telling me that when he was younger, he would pass out easily. It wasn’t until he went through a time where he got so angry and screamed and yelled that it began to change. I’m not sure he was ever cured and I do know that he found other ways to take his anxiety and fear out, rather than passing out. To someone that says “Man up!” or just get over it, this phobia is not that easy to deal with. It isn’t like I sit there waiting for the room to get warm and the lights to begin going dark. It isn’t like I think about it as I try hard not to think about it. Fortunately though, I have not fainted for several years which is in part because of the intense healing work I’ve done on myself and learning how to manage this better. For me, I’ve learned how to go in and really become one with myself, including all my fears, pains, hurts and traumas in life. It has not been an easy process. While going through some of these sessions with Dr. Paul Canali, I’ve often experienced feeling like I was going to faint or pass out on the table. It has been a frequent occurrence that we have had to work with. Dr. Canali has learned how to work with me to take me to the edge of this feeling and then back me off from it. 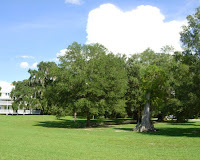 My nervous system is no longer revved up with a pulse rate of 99 (see blog post April 1, 2010) and above constantly since going through this healing work. That in itself has allowed me to handle more situations and not faint or pass out. One situation though that is still extremely difficult is that of going to the dentist. (see blog post of 07/06/10). I do take a sedative so I can get into the dentist office but the thought of scheduling an appointment is enough to make me faint. If I don’t faint, the anxiety and heart rate skyrocket! Hopefully there will come a day for me where I can do something as simple as booking an appointment to the dentist without having to take a sedative. For a continuation of this topic, read the next blog post on June 11, 2011, Helpful Tips For Fainting. If you have experienced fainting to the degree that people with phobias have, it isn’t a pleasant experience. In fact, if you are like me, just writing about this topic is enough that I need to take frequent breaks from. Just the topic about this can almost make me feel like I’m going to faint. So, if you’re one of those, go gently on yourself when you read this. According to an article on MSNBC.com, Afraid Of Needles? Why Some Faint At The Very Sight, seeing a needle in a medical setting is enough to make even the toughest of us faint. People who are terrified of needles get the same heart racing, shallow breathing and nerve jangling reactions seen in other intense fears. But the tendency to faint is what sets some medical phobias apart from, say being petrified of heights or spiders. Ever since I can remember, I fainted at just about everything. Let’s see, there was the time I was in the waiting room of the doctor’s office when my brother was getting his cast off and I heard the sound of the saw cutting the plaster apart. There were many times when I would get a cut on any place on my body and the minute I felt it or saw the blood, down I would go. I used to get a lot of splinters and my parents would take the sewing needle to get them out. More often than not, I’d be passed out before they were done. I can remember getting all of those shots you get in school as a kid and either crying every time or passing out. There were times that I have had to have medical xrays or procedures done which required no needles and have passed out. Far too many times, I’ve passed out in dentist offices and often it was before any work was scheduled to be done. Even one time when I had an MRI done, I passed out. Watching veterinarians do medical procedures on animals has brought me to my knees on more than one occasion and in college, I was an Animal Science/Pre Vet major. Imagine trying to do some of these things and learn in college labs but passing out so easily. I still remember when we were doing blood types in a college lab and I told the lab professor about my dilemma. She quickly excused me from lab and prevented me from having to go through that experience. For a continuation of this topic, read the next blog post on June 10, 2011, Fainting From More Than Needles. Some days on this blog, we just need to stop and enjoy special little moments. You may or may not have seen this YouTube video but it is so cute and full of love, that I could not help but post it. Often, I find that cats c an teach us so much about life. At least our two cats attempt to teach us what really matters. 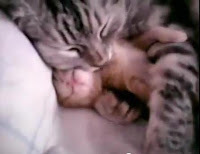 This video is just precious and you can see the love and affection between the Mother Cat and the Kitten. Enjoy it if just for a moment. If you're having a rough day, just take a moment and relax as you sink into this video. I'm always amazed at just how people respond online. Back in the good ol days of administering message boards, I remember people would comment without thinking. Soon thereafter, a war on the message board would be started. Nowadays, it is not confined to message boards, but to all areas of the internet like news articles, news pundits and social networking sharing. Lately, I've seen some stories appear on the headlines of the local news sites and it isn't but a matter of moments before people start posting horrible comments. Now, I know that not everyone agrees with each other or likes what the other stands for, but when a story of tragedy hits, is it really a good thing to make hurtful, mean and disrespectful comments? The discourse in this world is sad, especially in the US! We see it on TV, we hear it from our politicians, the media pundits, and then from all the everyday citizens who comment on the news articles with their biased rants of opinion disguised as fact. Even after the Oprah show, I remember having people send me some not so nice comments about the Male Survivor episode (Nov 2010 – Read Blog Post). Most people were generally supportive but a few really put the sour icing on the cake! 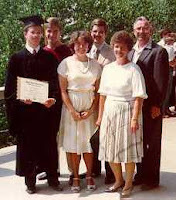 Some of my own family were supportive but a few treated me as though I didn't exist because I exposed a family secret. We all need to stop and think before we sit down and type some anonymous comment out on our computer screen. Even though we cannot see the person on the end and have no idea who they are, our vicious tongue does nothing to build up this country and this world. A well thought out response stated with respect could be a moment of change for many instead of another person adding gas to a forest fire! We may feel we are correct in our views and opinions but if we don’t learn to think and respect each other, there will be no one left to listen to what we say. Yesterday at Walt Disney World Magic Kingdom for Gay Days, I ran across a little boy that touched my heart. As we wer e riding back to the parking lot last night on the Ferry Boat, this little boy was standing with his mother. He had some brightly colored rings on his arm and was enjoying them like there was no tomorrow. The little boy came up to me and showed me these rings and asked me to count them. I counted 1, 2, 3, 4, 5 out loud and he turned around and said, "6, 7, 8, 9, 10." He then went back to his mom and a few minutes later he came back over and talked to me more. At no time, did the little boy look up at me and see me as "different" or "abnormal" or any of the other things that so many in our society proclaim from their mouths. He just looked at me like any regular person that was safe enough for him to approach. His innocence accepted someone else and didn't see them in the light that gets twisted through the teachings of our society. His innocence allowed him to just interact and get to know someone for a moment, treating them with respect while he received acceptance and respect back. When we said goodbye and went our separate ways, I could not help but think that if older children and adults in our society learned more to accept each others as this boy did, how much more peaceful our world would be to live in. 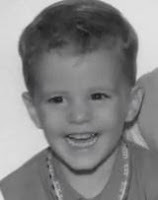 This little boy had not been through all the trials of life that most of us go through and in many ways, while we as adults know so much, this child could teach us all something very valuable to our lives. Please do not misunderstand the purpose here of this post. The point, I am trying to make is that we need to see others through the innocence of this child. We need to accept each other with love and respect, not judgment or fear or cultural beliefs. Abundance is more than telling someone that they should be increasing their yearly income by 10% or leading people on that abundance is all about money. I’m sure i f you told that to the person living in the cabin in the woods, that they would stare at you in disbelief, knowing that everything they needed was within an arm’s reach. What about convincing the person that won the lottery, and bought everything their hearts desired, only to question if the “wealth they received” was truly abundance when their heart desired more in life? It is so easy to prey upon people who have very little and we are living in times where there are many of them around but please, let’s keep abundance as a pure concept and not adulterate it for our own good. Let’s not sell out something that is a spiritual concept just so we can become wealthy ourselves. Of course, I do know that the ego is strong and it desires, money, control, power and it manipulates others. However, that is not abundance. Abundance is much more than money or getting the things your mind desires. It is about a way of living where you feel complete and fully satisfied no matter how many dollars you have in your pocket. It is a moment of true connection to your path in this life in how you impact the world on a daily basis. Abundance is much more than any of us can describe, especially those that are holding the measuring stick of achievement. Let’s go a little further with our, what if scenarios. What if someone came along and said for one million dollars, I will teach you all the secrets of the universe. When you know this, you will be the most powerful person in the world and not lack anything you so desire. Would you jump at this? Of course, I’m sure many would if they could find the million dollars. All of these things sound far-fetched or hopefully they do, but they are actually real. Sure some may title it as dooms-dayers, Doomsayers or unlimited abundance but if you break these things down, you really need to ask yourself if they pass the sniff test. I’m sure you could think of many examples in your day as well as I have only touched on very few. The thing that saddens me though is how we as a human species accept that which others tell us to be the truth. We spout off regurgitated rhetoric as proof that we know what we are saying. We have our cue cards and our points of order already made up. We have our ears closed and we are proud of these things because it shows others that we truly have something they don’t have. Yet, in the end, who are we fooling? We are not only fooling ourselves but we are fooling many that listen to us and follow us either giving millions of dollars in donations or $999 to buy into a program that promises to have all the answers. At the end of the day, is any one better off than anyone else for buying into these programs? Sure, it makes us feel better to believe our own belief system and promote it, but one of these days, I think we will be forced to answer for what we do unto others in our life. What we allow ourselves to believe defines us but it only defines us until we learn to discover the parts of our self that we remain obliviously hidden from in our mind. We all want to make it appear that we are in control and we are defined by the test of time, when in reality we shudder in fear, separated from our own awareness and connection between our mind and body. We go on living each day in this manner because it is what we currently see, not what we truly know or have experienced. In the past few weeks, I’ve seen examples of just how guided we are by our beliefs than by the evolution of our awareness. Some people follow blindly all that they are told because as little children, they were taught that way. Whether it is a church, politics, or those who seem to have the answers, they follow as if it is the correct thing to do. They follow because it is in their mind, a display of having life under control. Imagine someone telling you that tomorrow at a noon; your life is going to come to an end. How would you react to that? Imagine someone telling you that if you don’t accept a series of rules, concepts and beliefs, that you would miss out on the greatest prize in the entire world? How would you react? It is hard to believe that 25 years have passed with the Oprah Show. I still remember back to that day last fall where I was at the 200 Male Survivor show in the audience. It is a highlight of life and a memory that I will never forget. In fact, in Oprah's finale on May 25, 2011, she once again highlighted the 200 Men show as one of her most significant moments. It was not hard to locate myself just a few feet behind her. It brought back some wonderful memories of tears. So, here's my farewell message to Oprah or at least until we see her again. I watched the final show today and you almost made me do the ugly cry. I was one of those 200 men and that event has really turned life upside down for me. I’m not complaining because I know I’m growing through some very difficult moments in life and last October when we taped the show, it was the start of an emotional upheaval for me. I’ll take it... I know it is helping me find my purpose and calling. I always thought life had been a challenge for me up until this point with all I had been through from the abuse to the paralysis and many other things, but since this show it seems like life has thrown things at me one right after another with great speed. Yet, I’m comforted by many of the words you spoke today. They have given me more resolve to keep going in the midst of difficult and trying times. In the end, I know I will get where I need to be. Right now, I cannot fully see it because my world is filled with moments of confusion and frustration. But I know I’ll get there – after all when I was paralyzed, I knew I would walk again. I had to believe that because it is the only thing that got me up out of that hospital bed! I stand in awe of the teaching and inspiration you have given to so many throughout the 25 years but I am hopeful of how that will translate exponentially to so many others and impact the world in ways that no one can even begin to imagine. May the legacy not be of what people learned from you but how they went out and gave that to the world (and I’m talking to myself as well). Thank you Oprah for just being you and sharing your life with your platform.